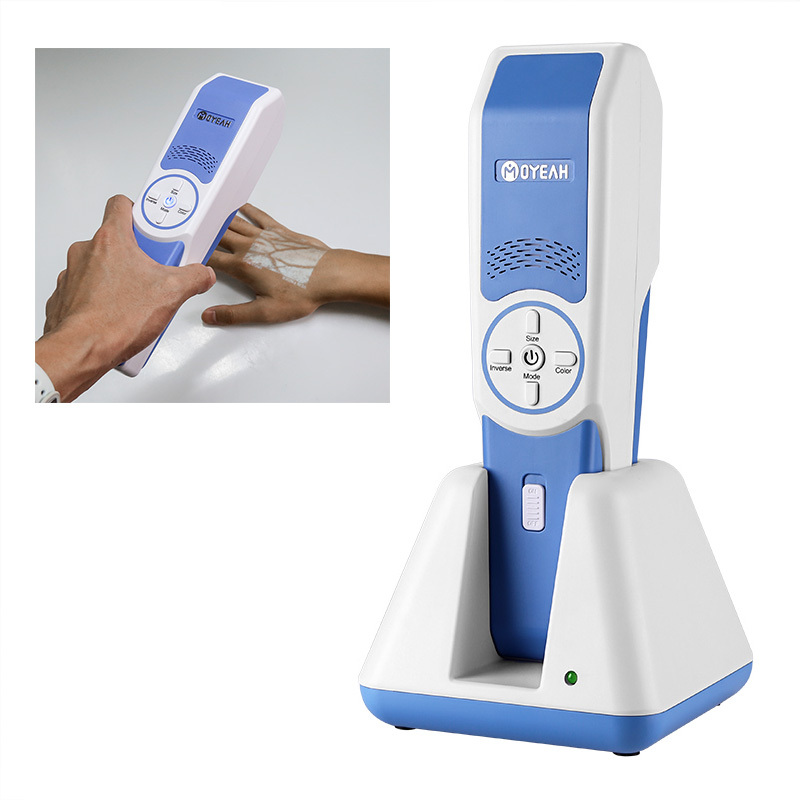 Successfully Added Handheld Vein Finder - Radiation Free, Near IR Light, 0.25mm Accuracy, Compact Design, 4400mAh, Works With All Skin Types to your Shopping Cart. The VF100 Handheld vein finder from Moyeah provides you with a simple and direct way to locate the veins underneath your skin. With its HD imaging and DF2 technology, this compact vein finder can be used efficiently on patients in all sorts of medical procedures. This health gadget is ideal for alternate care facilities such as surgery centers and blood/plasma centers, as well as for regular home health care services. Thanks to its compact and lightweight design, this handheld vein finder can be carried around easily anywhere you go. This makes it an extremely useful gadget for traveling doctors and nurses that provide help at home. This health gadget treats you to a real time and accurate image of the patient’s blood pattern anywhere on his body. The vein finder uses a near-infrared projection that is completely radiation free. Once in contact with your veins, the IR light gets absorbed and reflected by surrounding tissue whilst it gets projected directly back onto the surface of the patient’s skin. Thanks to this, you’ll be able to see the exact location of your patient’s veins. Simply place the VF100 handheld vein finder 2 to 20CM above the skin of your patient, and the machine will do the rest. This health gadget is perfect for all types of doctors, surgeons, and other types of healthcare professionals. It works on any type of tissue and skin tone. From now on, you’ll never have difficulties again trying to locate the veins of your patient. The VF100 Handheld vein finder comes with a 12 months warranty, brought to you by the leader in electronic devices as well as wholesale health gadgets..